This page includes a variety of frequently asked questions. The Town of Kindersley supports open communication with residents and makes effort to keep citizens informed in the decisions of Council and the operations of the municipality. Every person has the right, on an application made pursuant to The Local Authority Freedom of Information and Protection Act (LAFOIP), to have access to certain records that are in the possession or under the control of a local authority, which includes the Town of Kindersley. In order to access records that are in the possession of a local authority an individual must make an application. The application must be in the prescribed LAFOIP form, Form A: Access to Information Request Form, which can be found online. The form must include the specific subject matter of the record requested with sufficient particularity as to the time, place and event to allow the local authority to identify the record. Not all records can be accessed. Certain records, including but not limited to records with personal information of employees or others, draft bylaws or resolutions, and prescribed confidential records, are not required to be produced by the local authority. A fee must be paid at the time a LAFOIP application is made. The fee is generally $20 per request, but can be more depending upon the nature of the request. No fees are payable if the request for information is refused by the local authority. 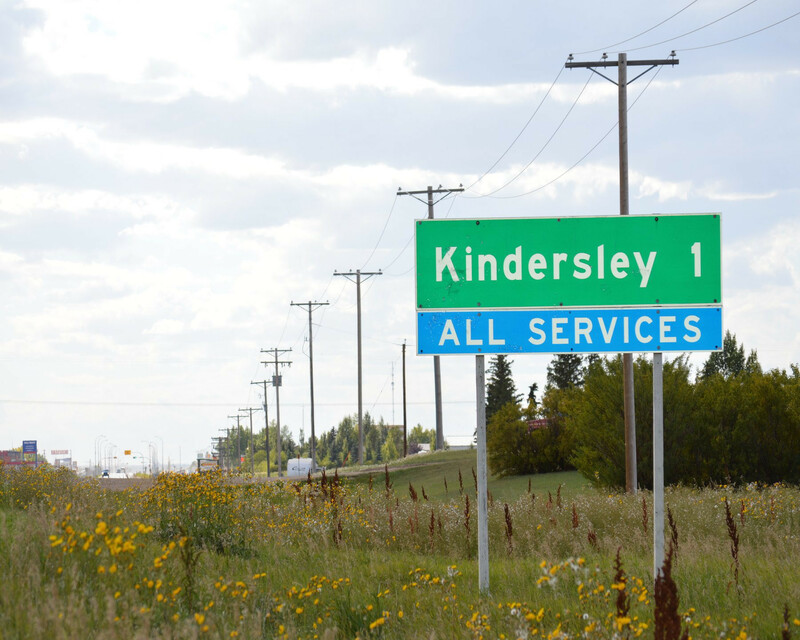 Where can I find general information about Kindersley? Find out more about Kindersley&apos;s population demographics, economic indicators, building and development stats, and more on the Community Profile page. There is useful information for developers or anyone interested in learning about our community. How do I start a community initiative? 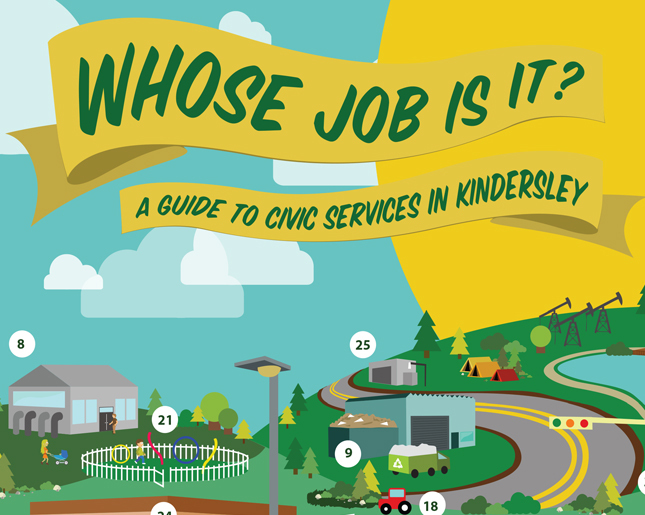 The Town of Kindersley has compiled information for a Community Toolkit guide to assist individuals and organizations in planning and developing successful community initiatives. Marriage licence applications can be made at the Kindersley Administration Office, 106 5th Avenue East anytime during regular business hours, Monday to Friday 8:30 a.m. to 4:30 p.m.
How do I contact the Town of Kindersley? You may contact the Town of Kindersley by phone at 306-463-2675, by email at office@kindersley.ca, or by visiting our Administration Office, which is located at 106 5th Avenue East in Kindersley. The Kindersley Administration Office is open Monday to Friday from 8:30 a.m. to 4:30 p.m., excluding statutory holidays. You may also Report a Concern online or follow the Town of Kindersley on Instagram, Facebook, and Twitter. Where is the Kindersley Regional Airport? What is at the Kindersley Regional Airport? The Kindersley Regional Airport has two runways. One is grass and is maintained only in the summer and the other is asphalt which is maintained all year. There is a building owned and operated by the Kindersley Flying Club which is used as a passenger building and is also home to the weather observation personnel. There are a number of privately-owned hangers used for storage of aircraft as well as an aircraft maintenance and repair business, and an aerial spraying operation. Where can I fly from the Kindersley Regional Airport? Our airport does not currently have scheduled passenger traffic which would allow you to check in at Kindersley and connect to commercial flights in other locations such as Saskatoon, Regina, Calgary or Edmonton. Who uses the Kindersley Regional Airport? Kindersley Regional Airport is a busy airport with charter aircraft flying in for customers to attend meetings, courier operations, medivacs, flight training, and aerial spray operations. There are also a large number of recreational pilots who use Kindersley Regional Airport as a fuel stop due to the convenience of the refueling system and the close proximity to the town for refreshments. The Town of Kindersley oversees operations of the Airport under the advisement of the Kindersley Regional Airport Board. This Board is a regional partnership formed by the following municipalities: Town of Kindersley, Rural Municipality of Kindersley #290, Rural Municipality of Oakdale #320, Rural Municipality of Antelope Park #322, Rural Municipality of Milton #292, Rural Municipality of Prairiedale #321. There are also members at large which come from the oil and gas industry, West Central Economics and aviation interests. The Town of Kindersley has the Airport Operating Certificate through Transport Canada and is responsible for meeting all standards and regulations. There is an airport manager who oversees the daily operations and contracts out additional help when required. Who can build at the Airport? The airport tenants do not own the land and as a result the fees they pay are not taxes. Each tenant has entered into long term leases in order to construct their aviation related buildings. The airport tenants pay a lot rental based on the size of their lot, and then they pay a fee based on the size of their building. The Airport has a bylaw which states that activities at the airport need to be aviation based. At this time there are no provision for a non-aviation related business at the airport, but that could be considered depending upon the proposal. Why do I need a pet licence? A pet licence offers added assurance that your dog or cat can be returned to you if discovered by Kindersley Animal Control. Licences are valid for the calendar year and licence holders are provided with an identification tag for their pets. Where can I find the Animal Control Bylaw? Click here to view the Animal Control Bylaw. All Town of Kindersley bylaws are available online at kindersley.ca/towncouncil/bylaws or can be viewed at the Kindersley Administration Office at 106 5th Avenue East. To report a lost or stray animal within the Town of Kindersley limits, please contact Kindersley Municipal Enforcement at (306) 463-2675. Emergency calls after hours are directed through an answering service to a Municipal Enforcement Officer as required. You can also visit our Facebook Page to see if your pet or a pet you know is waiting for someone to come and pick them up! The page is NOT monitored 24/7, so if it is an emergency please phone instead! What is the Aquatic Centre Schedule? The schedule for the Aquatic Centre is posted HERE! How Old Must a Child be to Swim Alone? Who is responsible for shovelling sidewalks? Within 48 hours of a snowfall, residents are required to clear snow from sidewalks and driveways on and adjacent to their private property. Snow should be shovelled and/or plowed onto your own property and not onto streets, sidewalks, or alley ways. Sidewalks on commercial property should be cleared within 24 hours. Where can I post Open House signs? Guidelines and restrictions relating to all types of signs are outlined in Section 4.10 of the Zoning Bylaw 04-14. Temporary signs such as Open House, For Sale or Lease, and election candidate signs or other information relating to a temporary condition are permitted on the related private property that is affected. What are the bylaw requirements for hot tubs? The Town of Kindersley’s Swimming Pool Bylaw 01-10 outlines the requirements for private in-ground and above-ground swimming pools in Kindersley, which includes hot tubs. The hot tub does not exceed 2.4m across the widest portion of the water surface. The hot tub has a hard top cover. The hot tub has a lockable device to prevent access to the water by unauthorized persons. The cover is maintained in place and locked at all times when the hot tub is unsupervised. As long as the hot tub complies with all four of the above provisions, Sections 5-8 of the Swimming Pool Bylaw do not apply. These sections relate to required permits, enclosures, gates and self-closing devices, and securing of all other in-ground and above-ground swimming pools. To read the Swimming Pool Bylaw and all other active bylaws, visit www.kindersley.ca/bylaws. What are the bylaw requirements for private swimming pools? The Town of Kindersley’s Swimming Pool Bylaw 01-10 outlines the requirements for private in-ground and above-ground swimming pools in Kindersley. Specifically, the bylaw pertains to lined pools at least 600mm (1.97 feet) in depth above or below grade level, including hot tubs. Permits - A permit must be obtained from the Town prior to the construction of any private swimming pool or demolition of an existing pool. Enclosures - Every private swimming pool must have an enclosure that is a minimum height of 1.5 meters above grade for in-ground pools, and no less than 0.61m (2 ft) from the grade, deck or platform for above-ground pools. Fences - If a fence forms part of the enclosure and is immediately adjacent to the pool, precautions should be taken to ensure that it is not reasonably practical for people outside of the private property to climb the fence to access the pool. Gates - All gates must be installed to swing outward away from the swimming pool. All gates must be equipped with a self-closing device, a latch to hold the gate closed, and a lock. To read more of the Swimming Pool Bylaw and other bylaws, visit /bylaws. How long can I park a recreational vehicle/trailer on the street? The rules governing “recreational vehicles” parked on Kindersley streets and driveways are outlined in the Town of Kindersley’s Traffic Bylaw 15-16. To read this and other bylaws, visit kindersley.ca/bylaws. In order to ensure safety for motorists and pedestrians, the Town encourages residents to park recreational vehicles on private property. Recreational vehicles (trailers) are permitted to be parked on the street up to a maximum of 72 hours unless a parking permit has been issued that will allow for an extension of up to 2 extra days. No more than two (2) permits can be issued during a 30-day period. Any trailers with slide-outs left open must be parked on private property where they cannot block visibility or create an obstruction to traffic flow on sidewalks and streets. All recreational vehicles must be registered and have visible and valid license plates. Parking of recreational vehicles is not permitted on public property unless prior authorization is granted. Are ATVs and golf carts allowed on streets? No. The Town of Kindersley adheres to the provincial Traffic Safety Act, which prohibits the use of golf carts on any roadway within a municipality. ATVs (All Terrain Vehicles) are also restricted on streets within the Town of Kindersley, pursuant to the All Terrain Vehicles Act. As with snowmobiles, ATVs are only permitted on the shortest route from the initial/final destination to the nearest exit out of the municipal Town limits. They are not permitted along highways or within the ditches that run parallel to highways. Scooters may be driven within the Town of Kindersley provided that they are clearly identified with a red, orange, or yellow flag that is at least 1.5 metres in height. For more information, read the Traffic Bylaw 15-16. What are the rules for fire pits in Kindersley? Town of Kindersley’s Fire Prevention Bylaw 23-09 outlines the regulations around construction and use of fire pits in the Town of Kindersley. Fires must be contained in a non-combustible receptacle made of concrete, brick, stones, or sheet metal, with a maximum diameter of 82 cm (32”). All receptacles must be located on private property at a distance of at least 3 m (9.8 ft) from any property line, building, or other combustible structure. Fire pits must be separated from grass and other vegetation by at least 40 cm (15.7”), using clean earth, sand, gravel, or another non-combustible medium. Click to learn more about the Fire Prevention Bylaw. Licences can purchased at the Kindersley Administration Office at 106 5th Avenue East. For more information, read the Business Licence Bylaw. Where can I drive my snowmobile? Snowmobiles should only be driven within Kindersley from the point of origin to the nearest point of exit out of the town limits. Snowmobiles are not to exceed 20 km/hr within town limits. Snowmobiles should only be used between the hours of 7 am and 11 pm within Town limits. Snowmobiles and other motorized vehicles should NOT be driven on the Motherwell Reservoir ice at any time. Can I remain anonymous when reporting bylaw violations? Yes. We do not require that you provide any personal information, however, please remember that all information you choose to provide to the Town, including names, phone numbers, or email addresses, is subject to the Public Record Laws. In other words, we must provide this information to anyone who asks for it. If you wish to remain completely anonymous, do not provide your personal information. What are the rules for trees, hedges, and shrubs? Yes. Several Kindersley bylaws outline conditions relating to the location and maintenance of trees, hedges, and shrubs. Hedges should not be permitted to grow to a height exceeding 3 metres. ** In commercial and industrial district, no fence, hedge, or shrub, other than those required as screening, shall exceed 3 metres in height. For more information about the Nuisance Abatement Bylaw 19-08 and all other bylaws, visit www.kindersley.ca/towncouncil/bylaws. I have received a Notice of Violation; what should I do? Follow the directions outlined on the Notice itself, which typically involves the payment of a fine prior to a set date, as indicated. Payments can be made at the Kindersley Administration Office at 106 5th Avenue East or online here. The amount of the fine is regulated by the application bylaw, which is approved and adopted by Town Council. Failure to make prompt payment may result in further legal action. Where can I search Town of Kindersley bylaws? All Town of Kindersley bylaws are available online at kindersley.ca/towncouncil/bylaws or can be viewed at the Kindersley Administration Office at 106 5th Avenue East. What is considered an abandoned or unserviceable vehicle and why is it a violation of Town bylaws? The Town&apos;s Bylaw describes an &apos;unserviceable vehicle&apos; as any vehicle that is required to be licensed and registered by the Province of Saskatchewan and is not licensed and registered, and is in such condition that it cannot be started or moved under its own power without repair. Derelict vehicles typically leak fluids such as anti-freeze, gasoline and other automotive fluids onto the ground, contaminating the local area. These vehicles also create an attractive nuisance to children by presenting an enticing, but dangerous, plaything. There are several documented incidents of children becoming locked inside a vehicle and succumbing to the extreme temperatures produced within the vehicle. Inoperative vehicles also detract from neighbourhoods appearance and can invite an undesirable element into your community. How can I purchase a Monument or Tombstone? You are required to fill out a Monument Permit/Tombstone Permit form and pay the required fee. This is available at the Kindersley Adminstration Office, 106 5th Avenue East. Where can I find a real estate agent in Kindersley? Local real estate companies include Royal LePage Wheat Country Realty, ACR Realty, and Edge Realty. For more information check out Relocating to Kindersley. What is the population of Kindersley? According to the 2016 Canada Census, Kindersley&apos;s population is 4,571. For a detailed Community Profile, visit https://townfolio.co/sk/kindersley/overview. Does Kindersley have public transportation? Does the Fire Department charge for false alarms? Yes. In November 2014, Council approved Bylaw 19-04, which amended the Fire Prevention Bylaw 23-09 with the inclusion of fees for false alarms. The ultimate goal of the Kindersley Fire Rescue Brigade is to reduce the number of false incidents to which fire crews respond each year. False alarms refers to any incident in which fire personnel respond to a security alarm system or fire alarm system that is activated by mistake or as a result of a malfunction. An alarm being activated by atmospheric conditions, excessive vibrations or power failure. How can you avoid false alarms? Make sure your alarm systems are checked and maintained regularly so that they remain in proper working order. Report any alarm testing to the fire department in advance. For more information about the Fire Prevention Bylaw and others, visit kindersley.ca/towncouncil/bylaws. If you are interested in becoming a volunteer member of the Kindersley Fire Department, register online as a volunteer here. Is there a compost collection program? Loraas Environmental operates a subscription-based curbside compost collection service from May through October each year. Residents interested in subscribing to this service should contact Loraas at 306-463-2008. Separate green carts will be provided to subscribers of the compost program. Collection days will occur every two weeks, alternating with regularly scheduled recycle days. Composting is an excellent means of diverting waste from the landfill and it provides natural organic material that can be used by the Town to fertilize flower beds, trees, and green spaces. Curbside garbage and recycling collection is operated by Loraas Waste and Environmental Services. Garbage collection occurs weekly, and recycle collection is bi-weekly. The schedule is determined by zone and available here. Where can I view current job opportunities with the Town? You can view all open job opportunities within the Town at kindersley.ca/contactus/careers. How do I arrange to speak at a Council meeting? 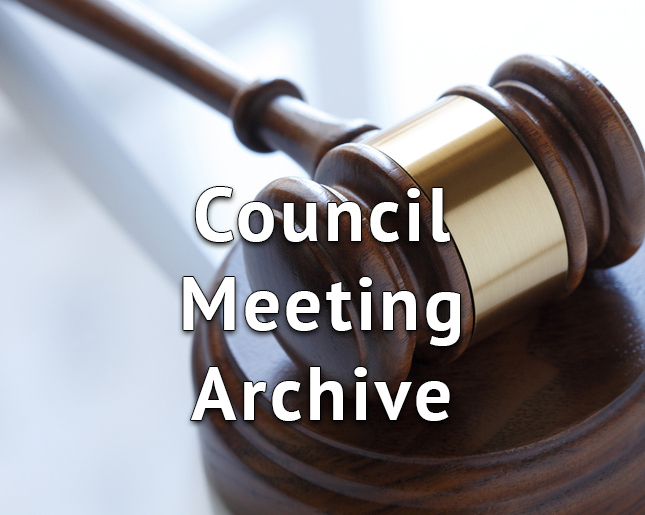 If you wish to address all of Council, you may be added to the agenda of the next Regular Meeting of Council, which is held on the 2nd and 4th Monday of each month. In preparation of the Council meeting, read these tips to speaking to Council. Often, questions and concerns about specific Town departments or services can be addressed by members of Town staff. Our office staff will help you find the person most suited to speak to your specific question or concern. The Kindersley Administration Office is open Monday through Friday from 8:30 am to 4:30 pm excluding statutory holidays. For information, please view Town Council. How can I book an appointment with the Mayor? If you wish to make an appointment to speak with the Mayor, call the Kindersley Administration Office at 306-463-2675 or email monica.s@kindersley.ca to book an appointment. Women have played important roles on the farm over Saskatchewan’s history. Loverna area farmer and historian, Bill Warrington, wants people to recognize their efforts. “We don’t give them nearly the credit they need for what they did,” the historian said, referring to rural women and all of the things they did, and continue to do, to help out on the farm and in their rural communities. Warrington, who is the chairperson for the Kindersley & District Plains Museum, said the museum has plenty of artifacts in its collection that pertain to the roles of rural women, but the museum lacks the stories behind the women and the tools they used throughout history. Although the role of women on the farm has changed in various ways through the years, the dedication of, and hard work by, rural women has not changed. Warrington said men on the farm often spend much of their time working on machinery and getting prepared for seeding and harvest. Technology has changed everyone’s role on the farm. The historian said women have always done a lot to help on the farm, but never more than when horses were still being used in the field and more people were needed to help with the harvests. Feeding an army of workers is common for rural women. Warrington said their families and farm hands needed a place to live, and the women helped to maintain homes and living quarters. He said all of the people needed to eat, so the women would spend time preparing and cooking their meals. The meal preparations, especially in the province’s earlier history, took a lot of work, he explained. Women often had to look after several children, but they helped to prepare lunches and suppers each day. Grandmothers and daughters would also help when it came to preparing meals, he said. He noted that the food was often self-sourced from the farm, so the women would grow and harvest vegetables in a garden. Women had to kill and clean chickens, or butcher pigs for their hungry farm families. Women also milked the cows with the help of their children, but the creme had to be used to churn butter and make other food items in addition to being consumed as a beverage. The work was seemingly endless for women on the farm, and without the modern conveniences of today, Warrington said he wants them to get more credit. “We have forgotten to thank these women – in any way that I can see – for all of the contributions they have made,” he said, recognizing that he is talking about a larger message of thanks than those after supper at the end of the day. Warrington is trying to start the conversation by spreading his own personal message of thanks to the women behind the farm. He said a threshing club in Kindersley holds its threshing and binder demonstrations each fall, but the event focuses on the jobs that were typically performed while in the field. He noted that it would be nice to highlight the jobs performed while working in the home. The historian said if there is anybody who is interested to work on a special display for the museum to honour rural woman, he would be willing to entertain the idea. A majority of the pioneering women are no longer around to receive the message of thanks, but women continue to have significant roles on Saskatchewan farms, Warrington said. He added that he thanks the women for all they do. The museum displays artefacts and information for all ages and interest levels. Public events and school tours are also commonly booked throughout the year. Yes, spaces in the museum are rented out year round for public and private functions. To inquire or book a room please contact the museum at 306-463-6620 to confirm availability and materials needed. Yes! Volunteers are always welcome; we have a variety of projects and tasks which community members can participate in based on their interests. The Museum is always looking for new Board members as well. If you are interested in participating at this level please contact the Museum at 306-463-6620 to inquire, or attend a Board meeting (second Tuesday of every month at 7pm in the Museum). No, archival material cannot be loaned out to the general public due to the delicate condition that it is in. The Museum can produce physical and digital copies of the archival material in its collection for interested individuals. The Kindersley and District Plains Museum is located at 903 11th Avenue East and is open May through September, 7 days a week. If you have an artefact that you would like to donate to the Kindersley & District Plains Museum collection, please contact the Museum and submit a brief history and/or photograph. The Board will review the proposal and determine whether to accept or deny the item based on their policies and mandate. If you are interested in contributing a monetary donation to the Kindersley & District Plains Museum, the Board would greatly appreciate your generous support. All financial donations (unless specified) are directed towards operations and improving collection presentation. Sponsorship proposals can be directed to the Museum Board; opportunities involve exhibit room naming rights and building naming rights. Donations in cheque form requiring a tax receipt must be made out to the Town of Kindersley, and include ‘Museum’ or ‘Kindersley Museum’ in the note section. What research materials are onsite for use? There are a variety of materials available for research purposes within the library room. Archival contents (photographs, documents, booklets, and flyers), books, binders and artefacts can be used to collect information. How much is admission at the museum? Entry to the Museum is through donation; there are no set admission rates. All funds are put towards operating costs. Can artefacts be loaned out? Yes, artefacts can be loaned out for short-term and long-term purposes. If you are interested in borrowing an artefact from the Museum, contact the Museum at 306-463-6620. A loan contract must be completed as part of the process. Where is the Ice Schedule? We are excited to launch a new online facility calendar and booking system that provides the ice schedule at the West Central Events Centre (WCEC). At /kindersley.ca/thingstodo/iceschedule, you will find a link to West Central Events Centre (WCEC) page, as well as links to the Iron Horse Kindersley Klippers and Kindersley Minor Sports websites. At the bottom of the West Central Events Centre (WCEC) page, you will find a schedule of all the current bookings for the entire facility. You can also view individual schedules and availability for the Co-Op Arena, WCEC Arena, Multi-Purpose Room, etc. by selected the applicable area in the sub-facility list. Click on the View Facility Calendar button if you wish to view the schedule in month format. “RESERVED” will appear for all time periods that are currently booked for a private group. At each group’s consent, we will begin to display names (i.e. KMS or Skating Club) and other information for the public. As the season progresses, we will work with user groups to post their content and provide links to their sites. Public Skating, Shinny, and Parent and Tot Skating times will show on the calendar as these are public programs scheduled by the Department of Community Services. A click on a public program will bring up information about that session such as start and end time as well as which arena the program will be happening in. If you choose to click on “View More Details” it will bring up more information such as the rules, ages, and at the bottom if will have a complete schedule. What does the Town do for mosquito control? The Town of Kindersley takes an integrated pest management approach to mosquito control and utilizes organic and biological products to deal with nuisance mosquitos and prevent threats to public health. This includes malathion and vectobac treatment in addition to garlic spray. For detailed information, read kindersley.ca/thingstodo/parkssportfieldsplaygrounds/mosquitocontrol. Is it safe to go on the Motherwell Reservoir ice? Residents should be advised of the potential danger of thin ice at all times during winter months. With the constant movement of water in the reservoir, the ice can shift and create dangerous situations. Please exercise great caution. Residents are urged not to be on the ice surface unless notices have been posted indicating that the ice surface is thick enough to guarantee the public’s safety. During weeks when there is greater fluctuation of temperatures, the strength of the ice surface becomes more compromised. Snowmobiles and other motorized vehicles should NOT be driven on the Motherwell Reservoir ice. When considering the option to toboggan at the Motherwell Reservoir, please check the Town of Kindersley website (www.kindersley.ca) to ensure that a Thin Ice Warning has not been posted. When signs are posted allowing for access to the ice, tobogganers should restrict themselves to the northeast corner of the reservoir by the parking lot and pavilion. This area provides the most accessibility and visibility should there be an emergency situation. What camping facilities are available in Kindersley? You can register for programs and classes online, by phone at (306) 463-2675 or visiting the West Central Events Centre at 500 2nd Street East. The Town of Kindersley Community Services Department offers a wide variety programs throughout the year. Click here for more details. You will need an approved development permit, along with structural drawing & approval by a Town-authorized Building Inspector. How do I get a development permit? Fill out an application and bring it along with a sketch of your lot. Please put dimensions to the setbacks distances of existing & new buildings to the property lines. Please include the dimensions of the lot. What do I need to do to build or renovate? In order to help you get your development or construction project started and ensure you are obtaining all the required permits and documentation, view Steps to be Followed. Applicants may have to contact one or more of the following departments and agencies to obtain specific information about other work that may need to be conducted outside of the scope of the development proposal. Examples: tree removal, applications for subdivision, line locates, utility service connections. Visit the Projects and Construction page. 1. Sheds under 97 square feet do not need a Building Permit. 2. Fencing only requires a Development Permit. 3. Additions need both Building and Development Permits. 4. 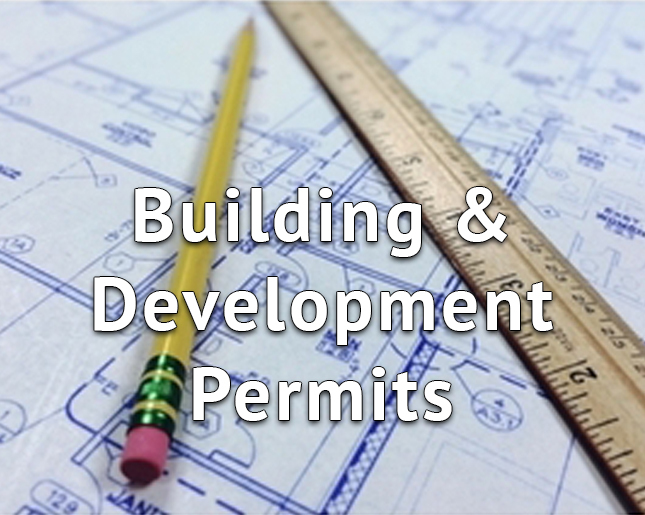 All new buildings over 97 square feet, including RTMs, modular and mobile homes require Building and Development Permits. 5. Renovations: Whenever projects involve significant structural, electrical or mechanical changes they may require a Building Permit, please consult with the Town of Kindersley Engineering Division. 6. Decks, porches, stairs, etc. require both Building and Development Permits. What can I do if I am denied a development permit? Can the Town locate my lot lines? No, you need to hire a Legal Land Surveyor for this, except if you are purchasing a lot that currently belongs to the Town of Kindersley. Are there any bus companies that service Kindersley? Unfortunately, no. The Saskatchewan Transportation Corporation discontinued bus services throughout the province in 2017, and since that time there have been no regular bus service companies to fill the void in Kindersley and surrounding region. How can I stay informed during an emergency? Can I request information on public record from the Town? Public records, Town Council resolutions and bylaws, and other public information can be requested at the Town Administration Office. Historical information that is not available from the Administration Office may be obtain from the Kindersley and District Plains Museum, located at 903 11th Avenue East. For more information, contact the Kindersley Administration Office at office@kindersley.ca or (306) 463-2675. How can I stay informed of what is happening in Kindersley? To stay informed on what is happening in the community, sign up for email notifications from the Town of Kindersley. These include a weekly E-Update. Kindersley also has a variety of local media sources. You can also visit our social media pages. We are on Instagram, Facebook, and Twitter! Is there wheelchair accessible transit in Kindersley? Yes, there is a Handi Transit bus available through our local hospital. Please contact 306-463-2611 for further information or to book a ride. How do I access books, drawings, reports and/or technical manuals for use as a student? Please visit the Town office and make a request. You may be able to access the information depending on copy rights and other legal regulations. However, The Town of Kindersley reserves the right to deny access to certain types of information. In addition, every person has the right, on an application made pursuant to The Local Authority Freedom of Information and Protection Act (LAFOIP), to have access to certain records that are in the possession or under the control of a local authority, which includes the Town of Kindersley. In order to access records that are in the possession of a local authority an individual must make an application. The application must be in the prescribed LAFOIP form, Form A: Access to Information Request Form, which can be found online. The form must include the specific subject matter of the record requested with sufficient particularity as to the time, place and event to allow the local authority to identify the record. Not all records can be accessed. Certain records, including but not limited to records with personal information of employees or others, draft bylaws or resolutions, and prescribed confidential records, are not required to be produced by the local authority. A fee must be paid at the time a LAFOIP application is made. The fee is generally $20 per request, but can be more depending upon the nature of the request. No fees are payable if the request for information is refused by the local authority. 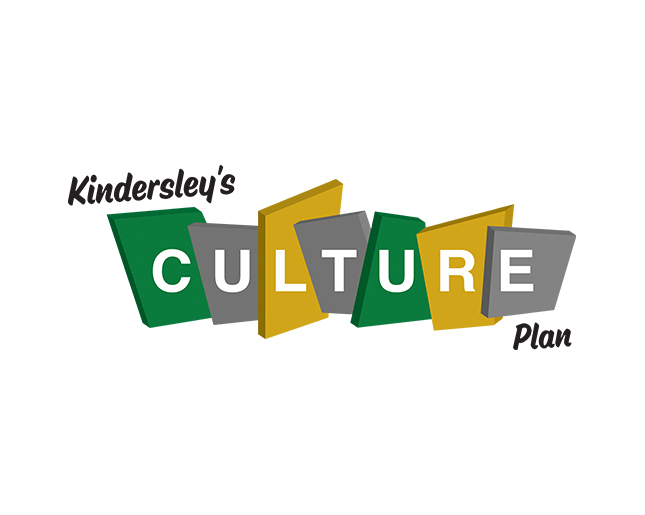 Kindersley offers a wide variety of programs and activities for people of all ages and interests. Whether you are an avid sports person, an artist, a musician, a hobbyist of some kind, or just someone who likes to be involved in new things, there is an abundance of local groups and organizations that may be suited to you. 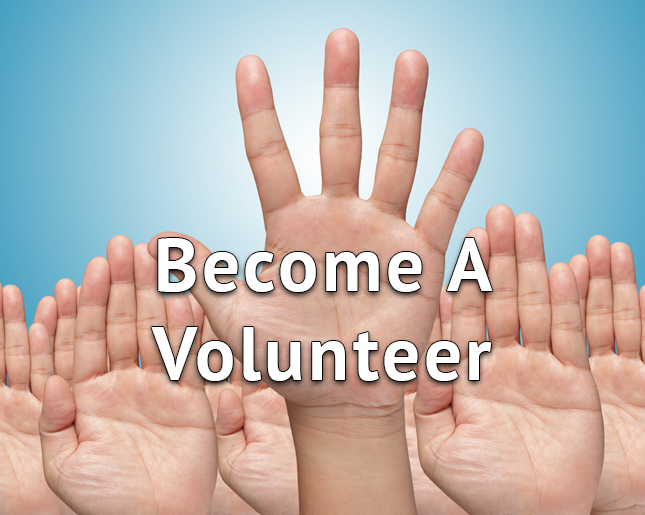 If you would like to sign up as a volunteer with the Town, register online here. When will my street get repaired? The Town of Kindersley maintains a comprehensive Asset Management Program for which road maintenance priorities are scheduled based on long-term cost/benefit criteria. Unfortunately, the Town has a limited annual budget for infrastructure work and not all roads can be repaired in a given year. Yearly road maintenance schedules will be posted online when available. The completed Road Work Plan can be found here. Private property including parking lots and mobile home estates is the responsibility of the property or landowner to repair and maintain the roads. The Ministry of Highways is responsible for paving the approaches off of Highway 7 and 21. How do I report a road/traffic safety concern? Any concerns related to a Town of Kindersley department or service can be submitted online. Please provide us with relevant information about the area of concern, including the location of the conflictive site (i.e. intersection, road, or civic address) and an explanation as to why it presents a concern. For additional information concerning road/traffic concerns or any Town infrastructure, you may also contact to the Director of Transportation and Environmental Services by email or by phone at (306) 463-2675. When will my sidewalk get repaired? Sidewalk, curb and gutter repair and replacement forms a part of the Town of Kindersley&apos;s Asset Management Program, and similar criteria is followed as is used to prioritize road maintenance. Unfortunately, the Town has a limited annual budget for infrastructure work and not all sidewalks can be repaired in a given year. Yearly maintenance schedules will be posted online when available. Driveways are the responsibility of private property owners. Private property owners are also responsible for parking lots not on publicly owned land, as well as mobile home estates. How do I report a pothole or a water leak? Pothole concerns can be submitted online, as can any other non-emergent concern about a Town department or service. For an emergency water leak on public property, please call (306) 463-2675. All after hours calls will be directed to the on-call number. Please visit: http://www.kindersley.ca/ourservices/streetcleaning for information about street cleaning and general road maintenance. How do I request additional accessibility at a Town facility? If you have a visual, auditory, or mobility-related disability for which adequate accessibility is unavailable at a Town facility, please contact the Town of Kindersley at (306) 463-2675. We are committed to doing our best to ensure accessibility at all Town of Kindersley-owned facilities and locations. What are the priority roads for snow removal? There are currently no water restrictions in place. The Town of Kindersley adopted the Water Conservation Bylaw in 2015. This bylaw makes it possible for Council to impose restrictions when necessary based on the rate of water consumption and level of available water reserve in order that the community&apos;s water supply is protected. Why does my water bill say I have a leak? A leak notification is issued when continuous water movement has been recorded for an abnormal length of time at some point during the billing period. This may indicate a leak. When this continuous water movement has been recorded, a notification is automatically issued on your water bill. If a leak is detected and you are unable to find the cause, you may need to call a plumber. A request can also be made to the Town to complete a data-long to determine the exact time period during which the leak was detected. Any inquiries, concerns, or complaints must be directed to our office at 306.463.2675. For privacy reasons, we do not discuss individual water bills publicly. How was the sewer consumption fee determined and what is the purpose of this fee? The sewer fee is 25% of the water consumed. This fee is used to replace the sewer lines in the Town of Kindersley which are constantly maintained in order to keep them as reliable as possible. Does the size of the water line coming into my house affect my water consumption? No. The size of line affects the water pressure not the water consumption. Water consumption varies from household to household based on a variety of factors. For example, a home with a reverse osmosis system will likely consume more than one that does not. How do I set up utility service for an existing residence? Contact the Utilities and Collections Clerk at (306) 463-2675 to establish new utility service. Each new consumer is required to submit an application with two forms of identification and to pay a deposits based on personal credit history. For information about water and sewer services: https://kindersley.ca/ourservices/watersewer. Why is water billed quarterly and not monthly? Monthly water billing has been considered before but no plans have been made to switch from the current three-month billing system due to the increased costs this would present, which are estimated to be around $10,000-15,000 per year. Click here for detailed explanation of water rates and how water bills are calculated. Water bills are based on actual readings not estimates, however, due to a system upgrade performed on the Town of Kindersley&apos;s water meter readers in late 2015, the billing periods of November 2015 through January 2016 were estimated and adjusted accordingly in future invoices when actual readings resumed. What accommodations for seniors exist in Kindersley? Where can I view my individual property assessment? Notices of Assessment are mailed to property owners whenever a change is made, however, property assessments can be view online at any time. Get a general idea of assessed values in your municipality. Additional information can be found on the SAMA website or the Province of Saskatchewan Ministry of Municipal Affairs . When do tax penalties get applied? Tax payments can be made anytime prior to July 31 without penalty. Beginning August 1 of any calendar year, a penalty of 1.5% will be applied to any unpaid current taxes as well as on the first day of each additional month the taxes remain unpaid. Please note that tax payments can be made any time before tax notices are received. This can be done through online payment here, online banking, by post-dated cheques, or payments made at the Kindersley Administration Office. For any other payment arrangements, please contact the Town of Kindersley at 306-463-2675. Have a question that wasn’t answered? Ask it here.